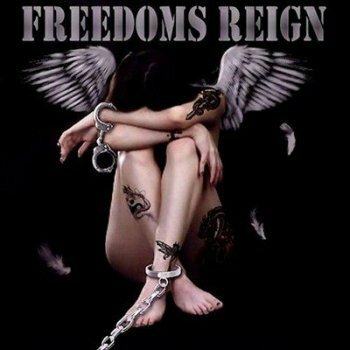 Freedom’s Reign is a new U.S. metal band. The founder of the band is Victor Arduini (guitars, vocals) who is the co-founder of the mighty FATES WARNING!!!! He played the guitar on “Night on Brocken” & “The Spectre Within”. Now he returns with a new band. The style of the new band is power metal with an “updated” sound production. The whole album has a nice flow that maintains the listener’s interest. This album has a really brilliant guitar work made by Victor Arduini and Tommy Vumback. The rhythm section is also good. The sound production made by Nick Bellmore (Toxic Holocaust/Hatebreed) is suitable for the style that the band plays while the cover of the album is really interesting. The only disadvantage is the fact that the vocals of Arduini aren’t suitable for the style of Freedom’s Reign and I would say that they are not in the style that I prefer (otherwise the rating would be even higher). The tunes that I enjoyed more were “Ritual”, “Brother”, “To Be” & “Looking Around”. Freedom’s Reign have the potential to present a really amazing sophomore album so we are waiting for their next step!! In conclusion this is a good strong power metal album that the fans of this genre should definitely hear! !